for adults, teens, couples, and families. 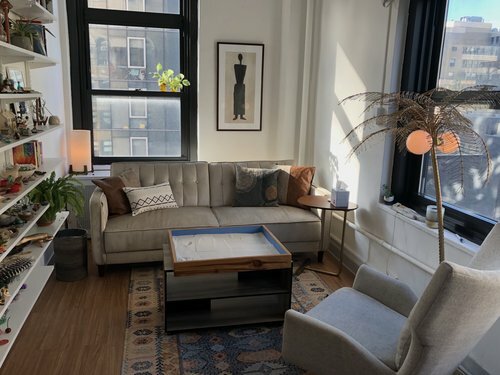 Seeking therapy in NYC for the first time? Or ready for something new? Diving into therapy may feel difficult at first, particularly since our busy lives in NYC are not often conducive to identifying emotions or exploring the self. Our compassionate and non-judgmental approach to psychotherapy at Intuitive Healing is an effective way to begin down the path of introspection. Quite simply, therapy is a weekly place to process what’s going on in your present, make sense of your past, or explore factors that may guide the choices you make for the future. Upon taking a closer look, we hope to help you cultivate a life that feels self-compassionate, vibrant, and authentic above all else. Introspective, curious clients paired with compassionate, open-minded therapists. Welcoming all genders, races, countries of origin, sexual orientations, religions, abilities, and body sizes. Are you ready to start exploring your best self? Let’s start a conversation - perhaps the first of many! Every client of Intuitive Healing therapy in NYC receives a personalized approach to counseling. The approach that is right for you depends on your individual situation and what you’re seeking, which we are happy to discuss with you prior to scheduling. Our view of therapy is that you are the expert on your own life, while we walk alongside you each week to ask the deeper questions and facilitate change. Please learn about our mental health professionals, their individual approaches to therapy, education in mental health and counseling, and areas of focus areas in therapy. All of the therapists at Intuitive Healing share a common passion for this work, as well as deep exploration and healing in their own lives. It’s our honor to share the gift of psychotherapy with each and every client who comes through our door. Providing a Space to Work it Out. Explore your thoughts, feelings, behaviors, and relationships in a safe and compassionate therapy environment. Our door is open, and we hope our offices become your shared “introspective home” to relax into each week! Please call or email to set up a phone consultation with one of our counselors. We look forward to hearing from you!